Have you started looking into possible destinations for your 2019 Christmas and New Year’s vacation yet? If not, this is a perfect time to plan your winter escape to somewhere warm where you can relax on a nice beach. Caribbean Islands, anyone? If you have ever planned an exchange to the Caribbean, you may have noticed that many resorts require you to pay for an all-inclusive meal plan. While some of us may be turned off by the cost, others enjoy the convenience of not having to figure out where and what to eat and how to get transport between the resort and restaurants. You can find all-inclusive resorts in the directory or when you search for an exchange by looking for the blue plus sign next to the three-letter resort code. The all-inclusive package is not a new concept: the program has been around since the 1950s. Over time, the program’s reputation has suffered, though, with some resorts offering cafeteria-style food bars and watered-down drinks at a premium price. Today, however, in order to accommodate quality-conscious consumers, our growing network of highly rated Premier and Elite Resorts within Interval increasingly offer premium drinks, gourmet food and first-class amenities—in some cases even a personalized server for your entire stay. What exactly does “All-Inclusive” mean? An all-inclusive fee is paid directly to the resort and generally includes food (meals offered by on-site fine dining establishments), alcohol and other beverages throughout your stay, as well as on-site entertainment and non-motorized watersport activities. In some resorts, it may even include additional amenities such as childcare. The all-inclusive fee is advertised prior to your purchase of the exchange, so you know up front what you will pay, and you can budget for the trip since there is only one price for the entire stay. Most all-inclusive fees are mandatory and have to be paid in full and up front to the resort. The resort will reach out to you after they receive your reservation information to collect payment, or advise you on how to pay when you check in. Be aware that, even if you are not staying for the entire week, there is generally no discount or refund for unused days. What is the price of an all-inclusive? This depends on the resort and varies based on the package the resort offers. The price may be as low as USD $80 per person and day and as high as or higher than USD $300 per person and day. Obviously, there is no single answer to this question. 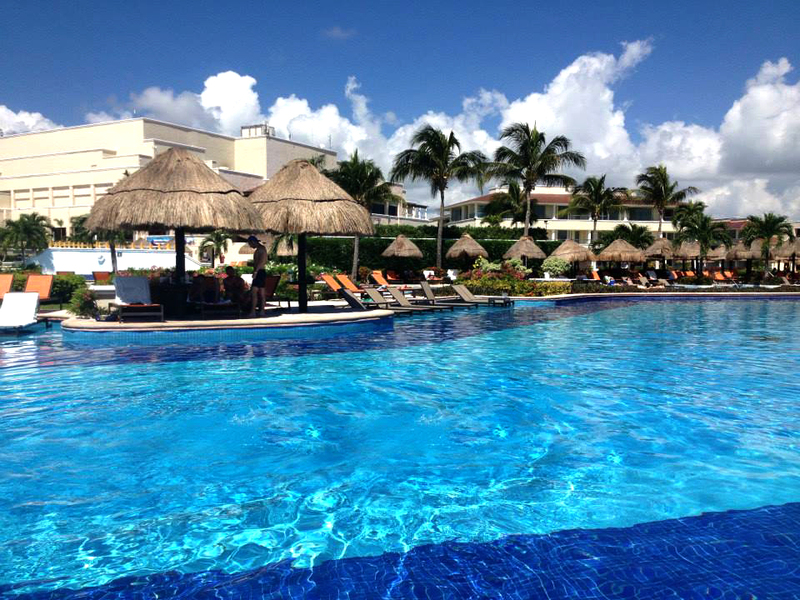 You will need to decide for yourself if the price of the all-inclusive resort is worth it. According to Interval International, approximately 52% of members in the US are interested in all-inclusive resort stays. We talk to owners who love the convenience of having all amenities right at their fingertips and knowing up front what they have to pay and where they can eat. These members are specifically looking for all-inclusive resorts: they pay the fees and then just sit back and enjoy a worry-free trip. Others prefer to venture into town and explore the local cuisine through local restaurants on their own rather than being limited to the resort-based establishments. If you fall into this category, we are happy to assist you with booking a resort that does not have a mandatory all-inclusive plan. Whether you fall into the former or latter category, please feel free to talk to us about your idea for a perfect vacation so we help you make it a reality. You can always talk to us or email us for assistance or clarification! We are here Monday through Saturday, 9 a.m. to 5 p.m., at 877.453.4440 and via email at interval@BreckenridgeGrandVacations.com. Thanks for being a part of the Grand Vacations family!